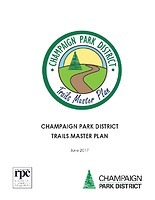 The Champaign Park District contracted with the CCRPC to create a trail master plan for Champaign’s parks. 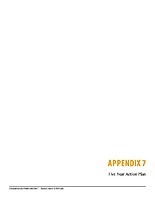 The Champaign Park District Trails Master Plan (CPD TMP) takes into account information from the Champaign Park District Strategic Plan 2020, Champaign County Greenways & Trails Plan 2014, 2011 Champaign Trails Plan, and other local and regional active transportation plans. 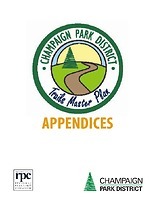 The CPD TMP will guide Champaign Park District decisions on trails within its jurisdiction and strives to coordinate their efforts with those of surrounding park districts and municipalities to obtain a more integrated, better connected trail system on a regional scale. The plan establishes the policies, programs, and projects that will further enhance the connectivity of area trails for the enjoyment of the residents of the City of Champaign. The Champaign Park District Board approved a 5 Year Trails Action Plan in June 2017 based on the CPD TMP developed by CCRPC.